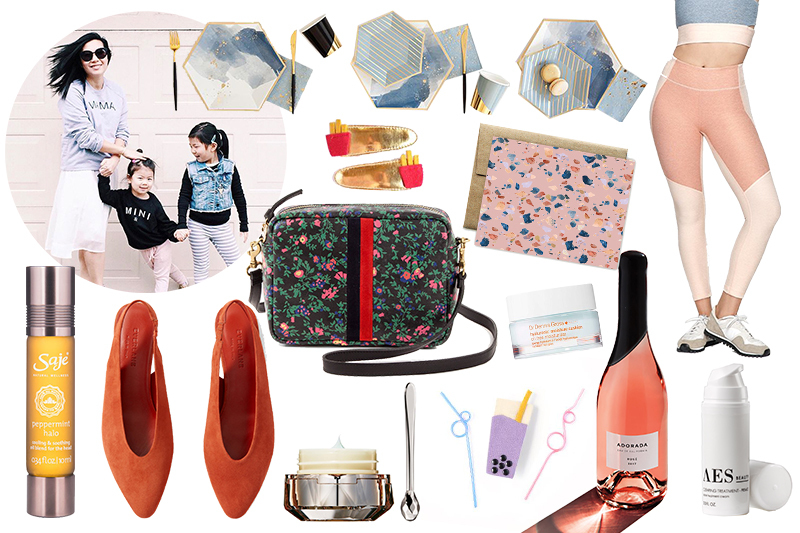 Next up sharing her Mother Essentials is none other than Jeanne Chan, the founder of chic party supply company Harlow & Grey and the voice behind lifestyle blog Shop Sweet Things. 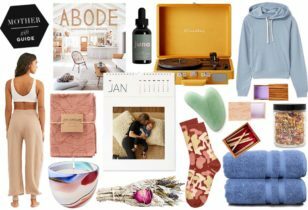 The San Francisco-based mother of two (Hayden, 7, and Hadley, 5), has been curating a mix of interesting products (at a variety of price points) on her site for nearly a decade now, so it is no wonder that her Mother Essentials list does not disappoint. 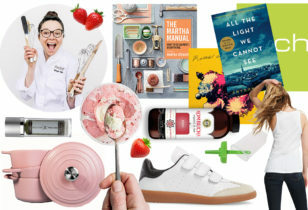 Check out her current must-haves below. Saje Peppermint Halo Essential Oil Blend, $26.95, Amazon. The V Slingback, $145, Everlane. Midi Sack in Black Ditsy Floral, $325, Clare V.
Clé de Peau Beauté Intensive Eye Contour Cream, $260, Nordstrom. Hello Shiso Hair Clips, $13, Hello Shiso. Harlow & Grey Modern Party Supplies, $5.95-$12, Harlow & Grey. Ferme A Papier Pink Terrazzo Set, $18, Ferme A Papier. Dr. Dennis Gross Skincare Smooth & Flawless: Peel + Moisturize, $48, Sephora. Adorada Rosé, $20, Poppy & Quail. Outdoor Voices 3/4 Two-Tone Leggings, $85, Outdoor Voices. AES Clearing Treatment Primo, $32, AES Beauty. Fairy Tales Rosemary Repel Daily Kid Conditioning Spray for Lice Prevention, $10.40, Amazon. Handpainted Lotus Kimono Robe, $158, Kim + Ono.